Members from all around the world that have come from various kingdoms in search of comradery, devotion, chemistry, and loyalty. Formerly known as Crucible of Sins: Crucible Wrath in the game Clash of Clans, we recently reformed under the same cloak in a different realm known as Rival Kingdoms. Our chemistry within our kingdom is flawless, with diversity from all stretches of the world we attack, strategize, prosper and conquer all and determined to be the Top tier clan. I don't understand why we don't have a Dedicated forum for this game. The interest in this game would skyrocket. Their Diamond purchases would increase. It can only help, not hurt. Why would Samurai Siege have a forum and not RK? In clash of Clans, we faced top clans, the forum made the community even more competitive and gain so much more interest. Rival Kingdoms needs a dedicated forum! oh BTW. we have a few spots available for recruitment. We've expanded! Crucible Envy is our new Kingdom for SH6+ members. Join via LINE today id: alfred3x. 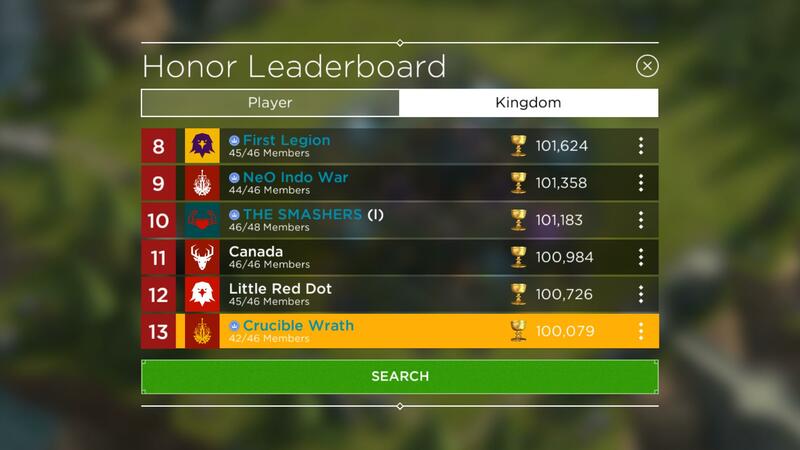 We reached Top 13 Kingdom Leaderboard rank and our first time over 100,000 points!